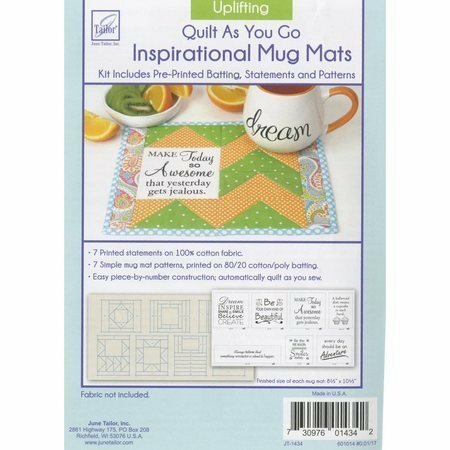 Have some fun with June Tailor's Inspirational Mug Mat series! 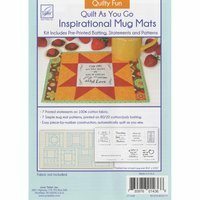 These mats are in a quilt as you go format with easy piece-by-number construction. 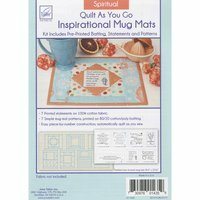 With 7 light-hearted and inspirational quotes and phrases these mats are sure to start your day off right! Finished mats measure 8" x 10". Printed statements are on 100% cotton fabric. 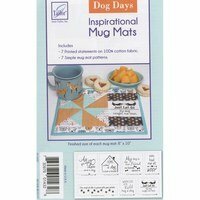 Mug mat patterns are printed on 80/20 cotton/poly batting. Made in the USA!